Make a gift to American Prairie Reserve and help build your park for wildlife, the public, and future generations! We invite you to join us in this movement of ecosystem preservation and restoration, funded entirely by everyday philanthropists like you. Every dollar donated to American Prairie Reserve makes a tangible impact to the flora and fauna that thrive in the Northern Great Plains of Montana, and is an investment in the incredible possibilities in the near and distant future. 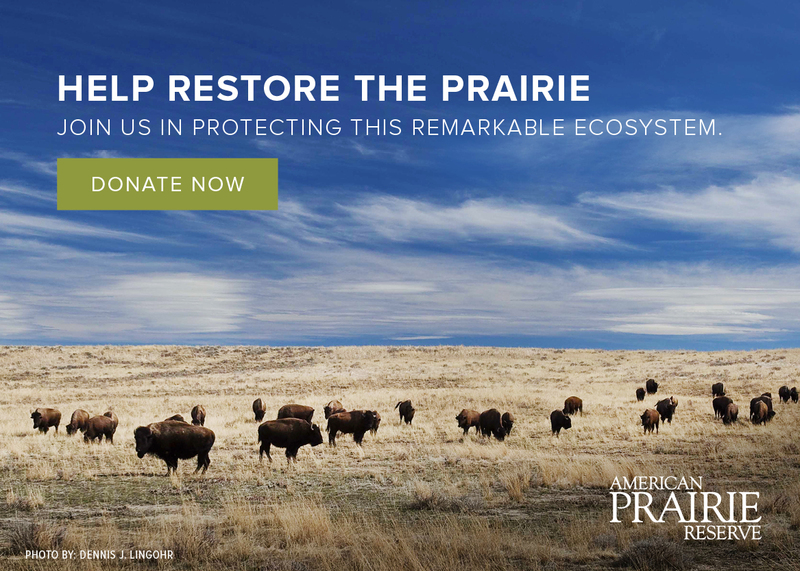 Through your gift to American Prairie Reserve, you enable the growth of the Reserve’s land base, the restoration of the landscape and its critical keystone species, and you pave the way for the gradual recolonization of threatened species and apex predators. Join us today in saving this critical ecosystem.